Today I’ll be reviewing another product from one of my favorite supplement companies – Genuine Health. The product is called “Proteins+” and of course it is a protein powder supplement. I got my hands on a Natural Vanilla flavor and I will review the taste of that as well. So what is the Proteins+ supplement? 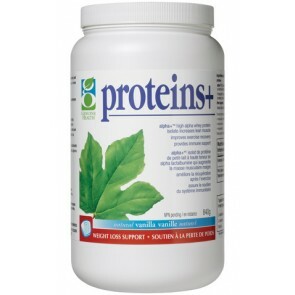 Proteins+ contains a whey protein isolate plus an added “Prohydroxy enzyme blend”. Two scoops of Proteins+ offers 110 calories with 25 grams of protein and very minimal carbs or fat (1.8 grams and 0.2 grams). The added enzyme blend gives immune boosting support for your body. Genuine Health uses high quality ingredients and proteins to make this a very quality whey protein supplement. Who should be taking Proteins+? Because Proteins+ is a standard whey protein supplement it can be taken by any man/woman no matter what your fitness goals are. Everybody needs protein and whether you are looking to lose fat, build muscle or maintain it is recommended that you supplement with a protein powder to help meet your protein needs. Proteins+ is an excellent source of protein to take before or after your workout as the whey protein will be absorbed quickly and the amino acid profile in Proteins+ will help you recover. 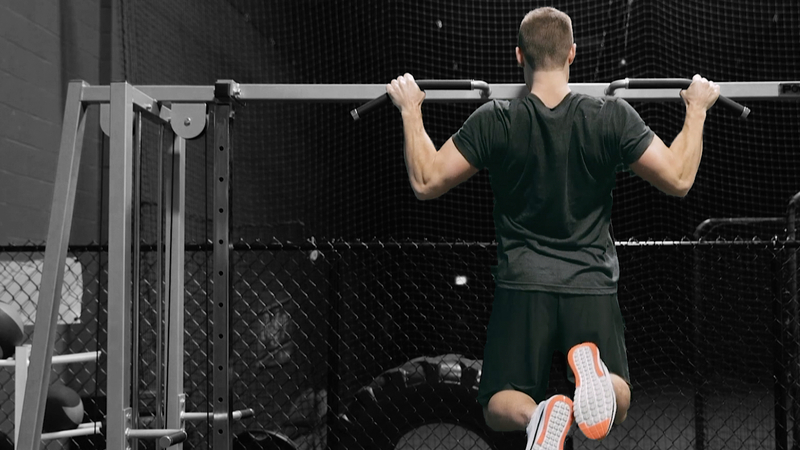 The great thing about Proteins+ is that there are no artificial ingredients or sweeteners. Some supplement companies will throw those in to help make the protein powder taste better, but those ingredients aren’t what you want to be putting into your body. How does the Proteins+ Natural Vanilla taste? I really enjoyed the Natural Vanilla flavor. I’ve tried it once mixed just with water and it tasted pretty good (about what you expect for a healthy protein powder). I’ve also tried it with Almond milk and it tasted delicious – highly recommended. And lastly I blended it in with some frozen fruits and water and that was also great tasting. Overall I rate it a 7.5/10 for taste – which is great for a whey protein isolate with no added artificial ingredients. Overall how do you rate Proteins+? 9/10 for a whey protein. Great ingredients with no added unhealthy fillers, good tasting, and added enzyme blend to top it off. If you’re looking for a whey protein isolate get your hands on some Proteins+.